The labs are equipped with fume hoods, an elephant trunk extraction system, stereo and polarizing microscopes, and video conferencing equipment. 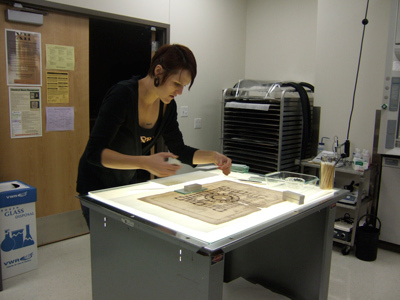 There is a large variety of tools and equipment for examination, analysis, photo documentation, and conservation treatment. 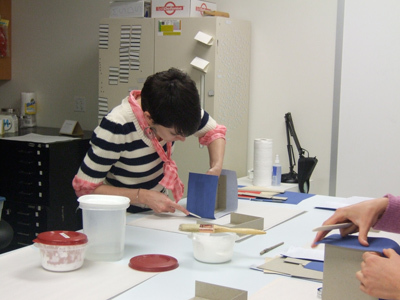 Several classes are taught in the labs including Book Laboratory, Treatment Techniques for Flat Paper, Materials in Libraries, Archives and Museums and others. 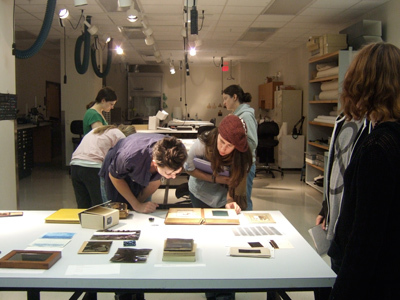 A thorough sample collection, including more than 10,000 photographs and many other materials, is available for student use. Working in the labs provides iSchool students hands on experience with physical materials, adding another dimension to their education.